Find My Workspace lists over 95% of the business centres market in Plymouth. Simply click Request Quote to check pricing for one office, or Add to Basket for multiple offices. This centre offers fully serviced, flexible executive offices, from 1,000 sq.ft to 20,000 sq.ft. Both short term and long term arrangements are available. LED lighting, carpet tiles, painted wall finishes and double-glazing, and there will be perimeter containment for power and data. At this Business Park, all tenants also have access to ample dedicated parking, and a serviced kitchen/cafe. Current occupants include Scania, Plymouth Community Homes, Kay Transport Ltd, British Red Cross, Plymouth Cash and Carry, Task Force Distribution Ltd and Handy Straps. 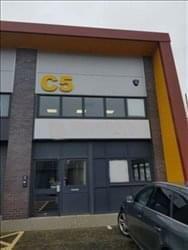 In addition to office space, the Business Park offers meeting rooms and warehousing and distribution facilities. *Internal offices photos are from another development. 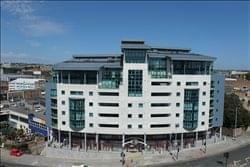 This space is a collection of luxury waterfront offices, located close central Plymouth with excellent views of the Plym Estuary. 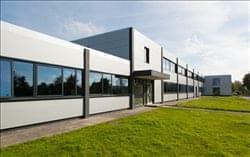 Offices are available now in this fantastic, thriving environment, bring you and your workforce maximum productivity and efficiency! The office space is contemporary, convenient and is perfectly suited for either start-ups or established businesses alike. Due to the nature of this office space, there is huge potential networking opportunities for you to expand your client base. With plenty of amenities available to you, this office space is adequately equipped for you and your business to thrive. Enjoy high speed broadband, servicing options; including call answering and postal services, onsite parking and also individual meeting rooms. With flexible terms available to tenants, take advantage of this space and come and watch you and your business flourish! Unique co-working and private office space in the heart of Plymouth, perfect for SMEs and start-ups. This is more than just office space, this centre gives you access to investors and fundraisers, plus teams to help you find the right people and technology solutions for your business. These fully furnished premium offices are available from two -14 workstations on flexible terms. Providing 24/7 access, individually controlled heating and air conditioning.The business support services include a fully manned reception with professional support staff to welcome visitors, business lounge, training and presentation suites, conference facilities and hot-desking.